Thurston Kitchen & Bath’s new Aspen showroom sets the stage for the design possibilities of a new, remodeled or updated kitchen and bath, and the showroom doors open to community groups to say thank you for 35 years. Mac McDonald established Thurston Kitchen and Bath 35 years ago when he moved to Aspen. Mac describes his vision for the business, “I wanted clients to have a singular point of contact with the designers, and the designers would make certain that the project met the clients needs, looked and functioned as they envisioned it, and installation was trouble-free.” The idea caught on, Mac opened new stores, and now the company has showrooms and designers throughout Colorado under different banners with different focuses and price points. 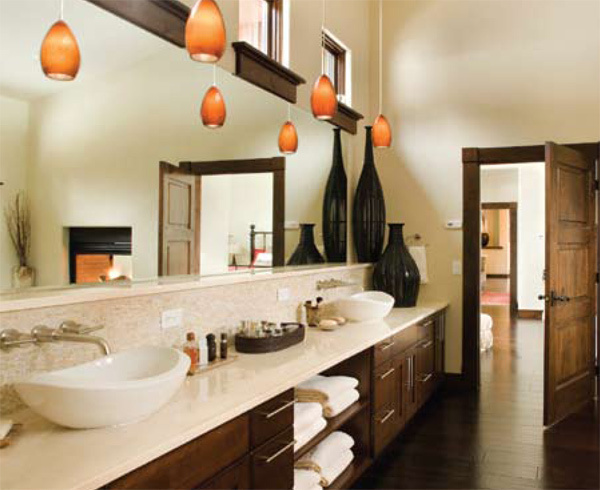 In fact, it is one of the largest independently owned kitchen and bath stores in the nation. True to this vision, the experience is personal and attentive. The cabinetry and appliance brand names range from the expected tried and true to hand-made custom high-end lines. Kitchens of Colorado’s website (KitchensofColorado.com) is one of the few indications of the company’s breadth and scope, as it is an umbrella website for all the stores. Designers not only bring dreams to drawings, but at Thurston the designers also serve as project managers to ensure installation, budget, and schedule, and to maintain communications with the client. “Our designers have been with us a long time, and have earned reputations for being steady, reliable, and great creative designers,” says Cindy. Thurston Kitchen & Bath maintains an open invitation to come in and say hello, to look around the new showroom, and to participate in the community events they sponsor.